Panama overtakes Denmark as the World’s happiest country. This was according to a 135 country poll by Gallup and Healthways Global. “Why Panama”: it is still one of the best-kept travellers’ secrets in the world! ¨outstanding natural beauty, astounding biodiversity.” From Rough Guides travel book. Good infrastructure and direct air connections from many cities in USA, Canada, Europe and Latin America. Good quality of life with all the services you need: hospitals, schools, universities, banks. Free from hurricanes and tropical storms – there are no tornados, twisters, or wild weather conditions. Lots of Latin traditions: 7 different indigenous tribes, local festivities, regional artisanal products, great Carnival celebrations (see our blog article on national holidays in Panama), Pollera dress, and molas – a real cultural experience! Exceptional nature: rainforests and protected National parks – species of animals and birds you will not see anywhere else – unbeatable bird watching! Tropical beaches on two coasts, uninhabited islands, whale watching, coral reefs for snorkeling or scuba diving, and world renowned surfing spots. Some of the best ocean, lake and river fishing in the world. Bordered by Costa Rica to the west, Colombia to the southeast, the Caribbean to the north and the Pacific Ocean to the south, and the capital is Panama City. Panama is divided into ten provinces, with their respective local authorities (governors) and has a total of ten cities. Also, there are five Comarcas (literally: “Shires”) populated by a variety of indigenous groups. Panama, the smallest Spanish-speaking Latin American country in terms of population, has a population of around 3.6 million. According to the CIA World Factbook the population is: Mestizo (mixed Amerindian and white) 70%, Amerindian and mixed (West Indian) 14%, White 10%, Amerindian 6%. The Amerindian population includes seven indigenous peoples: Ngäbe, Kuna (Guna), Emberá, Buglé, Wounaan, Naso Tjerdi (Teribe), and Bri Bri. More than half the population lives in the Panama City–Colón metropolitan corridor, which spans several cities. Panama’s urban population is around 75%, making the country’s population the most urbanized in Central America. The culture, customs, and language of the Panamanians are predominantly Caribbean and Spanish. Spanish is the official and dominant language. Most of the population speak Spanish as their first language, though many citizens speak both English and Spanish or indigenous languages. English is spoken by 14%, French by 4% and Arabic by 1%. The private educational system offers German, Portuguese and Italian. Originally, during the 16th century, education in Panama was provided by Jesuit priests. Public education, as a national and governmental institution, began only in 1903. The principles underlying this early education system were that children should receive different types of education in accordance with their social class and therefore the position they were expected to occupy in society. It is estimated that 94% of the population is literate. The Panamanian currency is officially the Balboa, fixed at parity with the United States dollar since independence in 1903. In practice, however, the country uses U.S. dollars for all its paper currency and most of its coins. 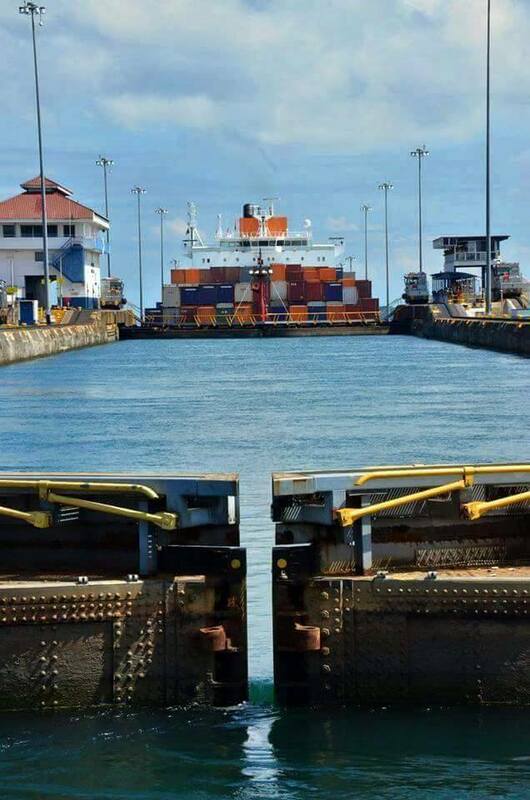 The Panama Canal expansion project, combined with the conclusion of a free trade agreement with the United States, is expected to boost and extend economic expansion for some time. Panama has a very low unemployment rate of around 4.5%, however despite Panama’s status as an upper-middle income nation – as measured by per capita GDP – it remains a country of stark contrasts. Perpetuated by dramatic educational disparities, 37% of Panama’s population (over 1 million people) live below the poverty line, and 19% (1/2 million people) live in extreme poverty. Panama’s economy, because of its key geographic location, is mainly based on a well developed service sector heavily weighted towards banking, commerce, tourism, and trading. Copper and gold deposits are being developed by foreign investors, to the dismay of some environmental groups, as all of the projects are located within protected areas. Tourism in the Republic of Panama is rapidly growing. Having Central America’s largest airport, and a government offered tax and price discounts for foreign guests and retirees, tourism in Panama has seen continued growth during the past 5 years. These economic incentives, as well as a number of other factors, has caused Panama to be regarded as a relatively good place to retire in the world. The culture of Panama was derived from European music, art and traditions that were brought over by the Spanish. Hegemonic forces have created hybrid forms of this by blending African and Native American culture with European culture. Outside of Panama City, regional festivals take place throughout the year featuring local musicians and dancers. Another example of unique culture in Panama is all the artisanal, typical clothes and regional products everywhere. Religion plays a very big part in most Panamanian people’s lives. The CIA Factbook cites that 85% of the population are Roman Catholic and 15% Protestant, however other sources cite a number of other faiths practised (in much smaller numbers) including Evanjelical Christian, Budhism and Islam. National elections are universal and mandatory for all citizens 18 years and older (although voter turn out is usually around 70-75%). National elections for the executive and legislative branches take place every five years. Panama’s politics take place in a framework of a presidential representative democratic republic, whereby the President of Panama is both head of state and head of government, and of a multi-party system. Executive power is exercised by the government. Legislative power is vested in both the government and the National Assembly.